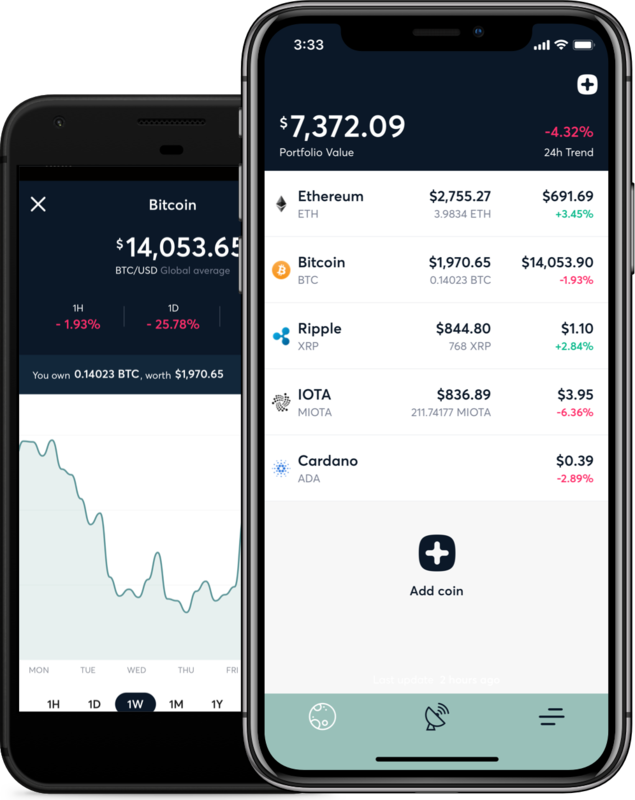 Get real-time price changes of your portfolio balance and the crypto coins you are tracking. It works and feels like magic. 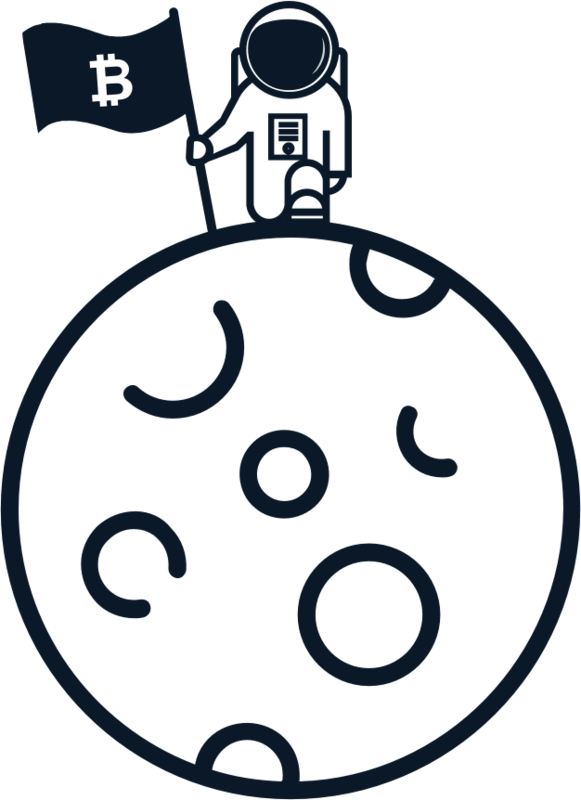 BlockHero is designed with emphasis on simplicity, clean design and high aesthetics. Track your portfolio faster; without any frustration. Tailored to your language. Tailored to you. BlockHero automatically adapts to your language. 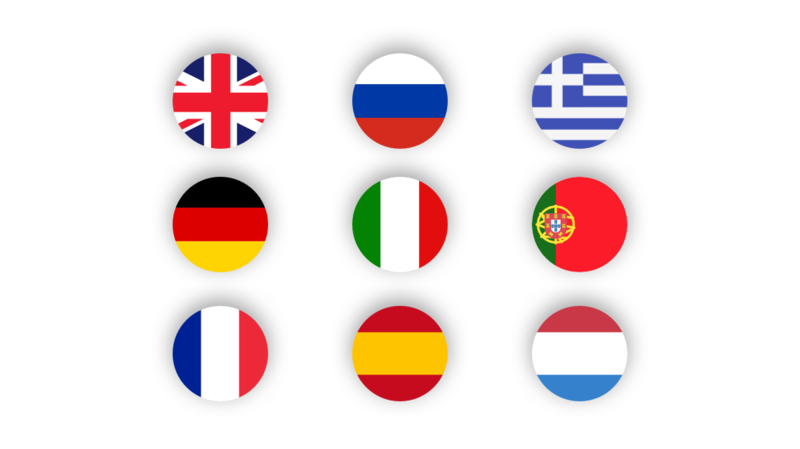 Currently supporting Spanish, Italian, French, Portuguese, German, Russian, Greek, English, and Dutch. Get an instant overview of your portfolio balance and monitor your holdings’ price evolution in real-time. Track Bitcoin, Ethereum, Ripple, EOS, NEO, Litecoin, Stellar, Monero, IOTA, Tron, Dash, Verge, NEM, and many more. Intuitive line charts and candlesticks, along with the market details you actually need to know. 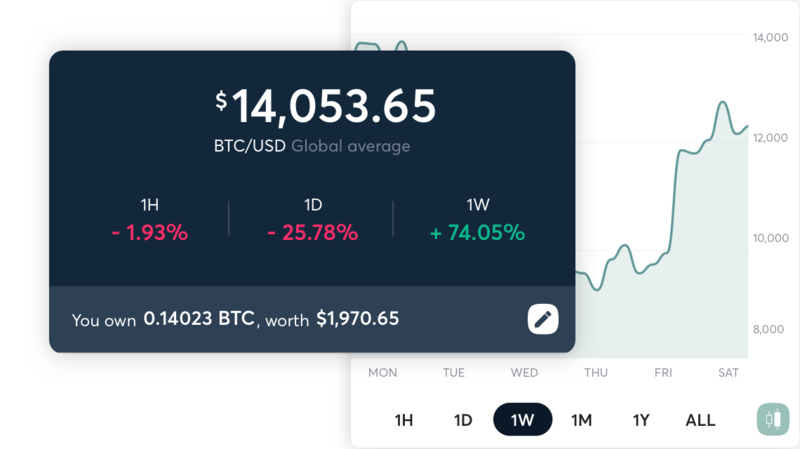 Get instantly notified about critical crypto price fluctuations, market news, and trending ICOs. Take advantage of the Hide Balances feature to hide your holdings from public access. 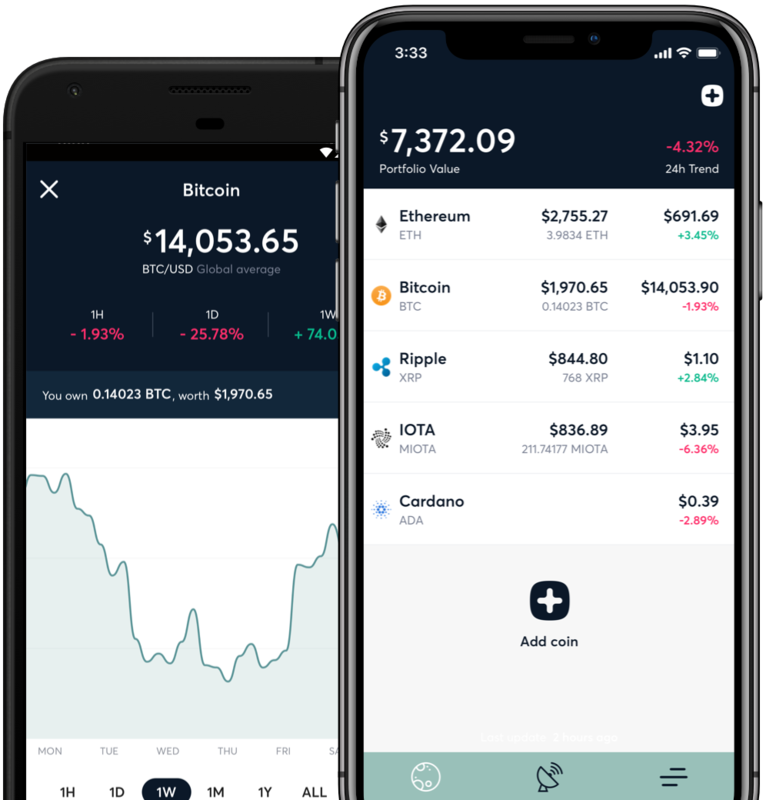 Download app and start tracking your crypto coins immediately. No registration needed. Totally free. © 2018 TREBBBLE S.A. All Rights Reserved. These Terms of Service ("Terms", "Terms of Service") govern your relationship with BlockHero mobile application (the "Service") operated by Trebbble S.A. ("us", "we", or "our"). Please read these Terms of Service carefully before using our BlockHero mobile application (the "Service"). The Service and its original content, features and functionality are and will remain the exclusive property of Trebbble S.A. and its licensors. The Service is protected by copyright, trademark, and other laws of both the Greece and foreign countries. Our trademarks and trade dress may not be used in connection with any product or service without the prior written consent of Trebbble S.A..
Our Service may contain links to third-party web sites or services that are not owned or controlled by Trebbble S.A..
Trebbble S.A. has no control over, and assumes no responsibility for, the content, privacy policies, or practices of any third party web sites or services. You further acknowledge and agree that Trebbble S.A. shall not be responsible or liable, directly or indirectly, for any damage or loss caused or alleged to be caused by or in connection with use of or reliance on any such content, goods or services available on or through any such web sites or services. In no event shall Trebbble S.A., nor its directors, employees, partners, agents, suppliers, or affiliates, be liable for any indirect, incidental, special, consequential or punitive damages, including without limitation, loss of profits, data, use, goodwill, or other intangible losses, resulting from (i) your access to or use of or inability to access or use the Service; (ii) any conduct or content of any third party on the Service; (iii) any content obtained from the Service; and (iv) unauthorized access, use or alteration of your transmissions or content, whether based on warranty, contract, tort (including negligence) or any other legal theory, whether or not we have been informed of the possibility of such damage, and even if a remedy set forth herein is found to have failed of its essential purpose. Trebbble S.A. its subsidiaries, affiliates, and its licensors do not warrant that a) the Service will function uninterrupted, secure or available at any particular time or location; b) any errors or defects will be corrected; c) the Service is free of viruses or other harmful components; or d) the results of using the Service will meet your requirements.